Hi Everyone! 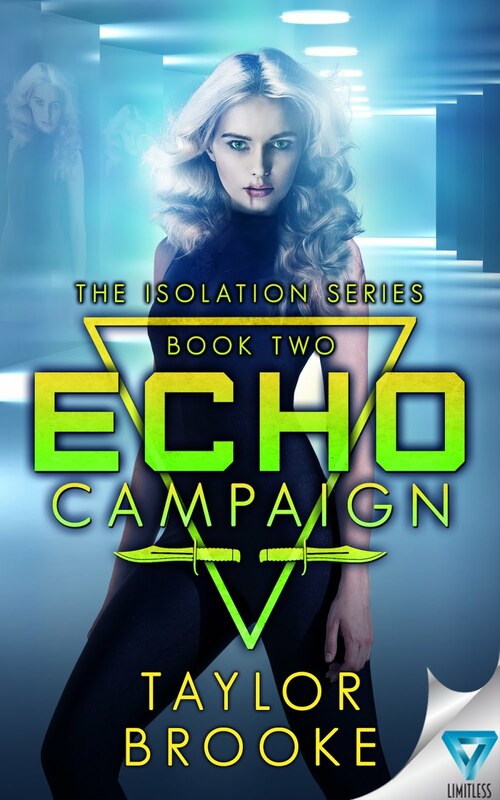 So as you can see, I am participating in Xpresso Blog Tour's tour for Echo Campaign. They have supplied me with copies for both Omen Operation and Echo Campaign. Please note that this has not affected my opinion in any way. I have review up for the first book, Omen Operation, if you are interested. You can find that here. Good Luck to everyone who is entering! May the odds be in your favor. PLEASE NOTE THAT THIS IS THE SECOND BOOK IN THE SERIES. THUS THIS REVIEW WILL CONTAIN SOME SPOILERS TO THE FIRST BOOK. Trapped in a white-walled labyrinth by Juneau Malloy, Brooklyn is faced with the horrors of Isolation's finest training yet. The skills she learned as an Omen Operative in Camp Number Eleven are put to the test in the from of brutal assessments of her strength, skills and fortitude. Confused and disheartened, Brooklyn and the group of the renegade Omens prepare for whatever trials Isolation has in store for them. When Brooklyn finds out her best friend Gabriel is alive, she goes on a violent rampage in search for her, but instead earns herself a stint in solitary confinement. Juneau attempts to tame Brooklyn through grueling exercises before offering her one radical choice. Brooklyn must hand over her freedom in order to spare her friends. She'll become a showpiece Juneau will auction off to the highest bidder for her skills in assassination, defenses and combat. Brooklyn has no intention of becoming Juneau's latest achievement. During a mind-wraping training stimulation, Brooklyn uncovers Isolation's greater secret and their darkest mistake. Juneau Malloy has created something far more sinister than the Omens, and it's ready to eat the world alive. Save her friends - or save humanity. I loved the first book in this trilogy and I couldn't wait to get into this one. I received this book, along with Omen Operation from Xpresso Book Tours. They sent me these books so that I can participate in this blog tour. I am really excited to get into this book. Omen Operation was absolutely amazing but ended off open ended. Brooke's writing pretty much stayed the same. Which means that if you would like to see what I thought about her writing, you can find that information here. This book had so much more going on than in the first book. It was absolutely amazing. I loved reading the book and thought it was quite interesting how every now and again, Brooke slotted someone else's point of view in. It allowed the plot to progress quite a bit, and on the plus side, you got to see the inner workings of some of the characters. Brooklyn and Porter are the cutest people in the world. They always have each others back and it is absolutely amazing. I really love their story arc. They just seem to grow and discover everything together and it's just beautiful. I missed Gabriel towards the end of the first book. She was one kickass character and I have to admit that she is still one. Gabriel is probably one of my most favorite characters every. She is so independent but she is also influenced by the people around her. She is not afraid to do her own thing but at the same time she knows when she needs to listen to orders and when to rebel. She is absolutely incredible. I loved this book, this series. It is absolutely amazing. It has a few extremely unique concepts and they really make the story. I had no idea what to really expect from this book and the previous one and I think that is the best way to go around. I highly recommend this series to everyone who wants an interesting spin on things. I also want to thank Xpresso Book Tours, this was one fantastic tour. Taylor Brooke is the author of the science-fi adventure trilogy, The Isolation Series. She started out as a freelance make-up artist, and quickly discovers her love of elves, zombies, mermaids, kaiju, and monsters of all kinds. 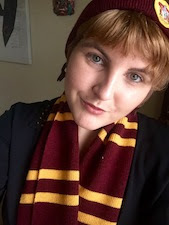 After receiving eight professional certifications in special effects make-up, working on countless projects, and fleshing out a multitude of fantastical creatures, she turned to her imagination back to her one true love - books. Taylor has had a knack for writing since she was a little girl, and received recognition for her skills throughout grade school and junior college. When she is not nestled in a blanket typing away on her laptop, she can be found haunting the local bookstore with a cup of steaming hot tea in her hands, scanning the shelves for new reads, or hiking one of the many mountains that surround her home in Oregon. 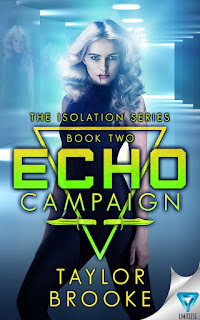 Thank you so much for reviewing ECHO Campaign. I would love to see it appear on the ECHO Campaign Amazon page as well :) Look out for the Legacy Strain tour in July!